The cold season is officially here. Just as many South Bay residents relied on their air conditioners to stay cool over the long, hot summer, they’ll now use heaters to keep their homes and businesses toasty throughout the holidays. 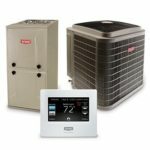 As much as we all appreciate the comfort our HVAC systems provide, they can prove burdensome to our bank accounts and the environment. In fact, heating and cooling is the greatest energy expense for most homes in the U.S., accounting for nearly 50% of energy consumption. As this infographic The Refrigeration School developed shows, there are certain measures you can take on your own to improve energy efficiency. While HVAC systems are mechanically complex, they all work on some basic principles of physics. Heat transfer is one of the most significant: essentially, heat always moves from a warm object to a cooler one. In the wintertime, the lower the temperature inside your home or office, the slower either will lose heat. While you’re at work, lower the thermostat by 10 to 15 degrees to save as much as 5% to 15% on your annual utility bills, notes the U.S. Department of Energy. Next summer, raise it by the same amount for equal savings. 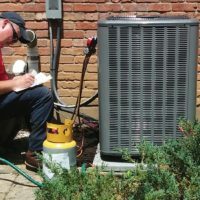 There are several ways home and business owners can keep their HVAC systems running smoothly and at optimal energy efficiency. Performing regular maintenance is one of the main ones. For example, cleaning reusable filters or replacing disposable ones every month can lower energy consumption by 5% to 15%. 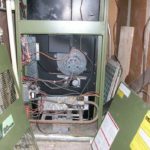 On a yearly basis, cleaning evaporator coils, coil fins, and heat exchangers can also ensure the equipment runs properly and even prevent untimely breakdowns. Review the infographic for additional maintenance suggestions you can perform. Some maintenance and repair tasks should be left to professionals. Moreover, an HVAC system must generally be replaced every 10 to 15 years. For these reasons, it’s important to find an HVAC service provider you can trust. 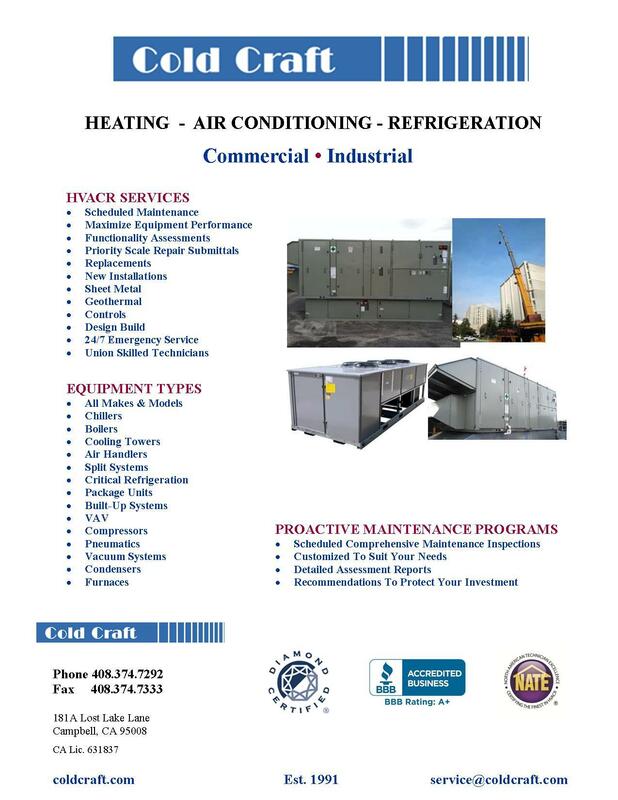 Serving the South Bay since 1991, Cold Craft is a trusted provider of residential and commercial HVAC services. Not only are Cold Craft’s technicians NATE certified, the company is Diamond Certified and holds an A+ rating with the Better Business Bureau. 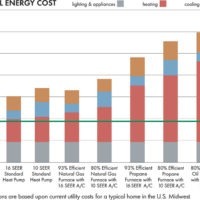 Cold Craft is also a strong advocate of green HVAC technology and practices. Whether you need help with repair or improving the energy efficiency of your system, Cold Craft can help with any HVAC challenge.